A sandstorm batters the enclosed fort, forcing the characters to lay low. Unable to loot the nearby Great Ruins their money is running out fast, and they're getting thirsty as the last two food and water convoys from the city never made it. Worse, the storm is tearing gaps in the scrap-built fortress. These openings have not gone unnoticed. Something unspeakable approaches in the biting sandstorm, gathering in numbers and taking advantage of the blinded defenders... an insidious peril that hungers for more than the flesh and fluids of Pitford's citizens. This horror themed module takes place in and around the Quest Path Apartments where the characters rent a humble bunk room. Here, the characters are thrown into the middle of a nightmarish ordeal, where their survival is in question, where their failure could lead to a regionwide catastrophe. The Flesh Weavers is a heart pounding adventure. It includes a massive basement add-on, as well as an escape tunnel generator, terrible new creature and dozens of its ghastly variants. 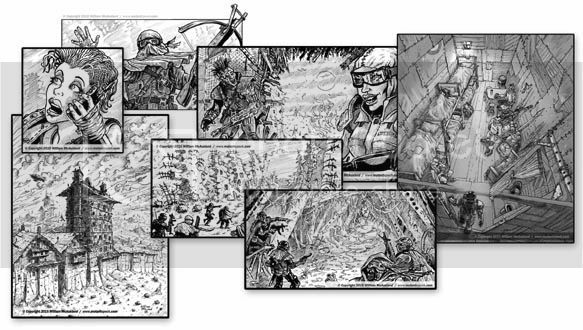 Players must choose carefully at every turn, weigh their options, and decide whether to be heroes, or bug out. Facing the flesh weavers is only for the brave, the resourceful and the mighty... Pitford's survival depends on it. 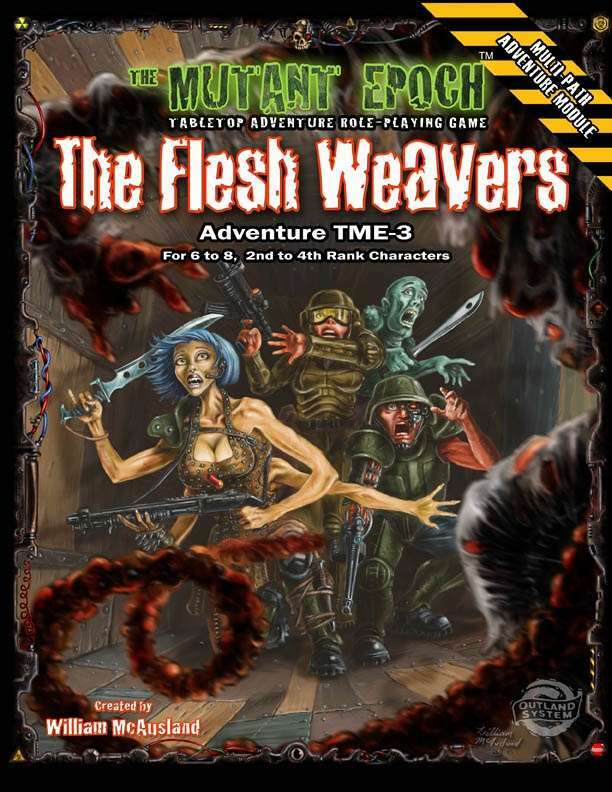 The Flesh Weavers uses the Outland System™ game mechanic and requires only The Mutant Epoch™ hub rules RPG game book to play. Designed for 6 to 8 second to fourth rank characters, this module takes place in Pitford in the Crossroads Region. Wonderful, I've been waiting for this! Will it be available in print as well? This title was added to our catalog on July 05, 2015.